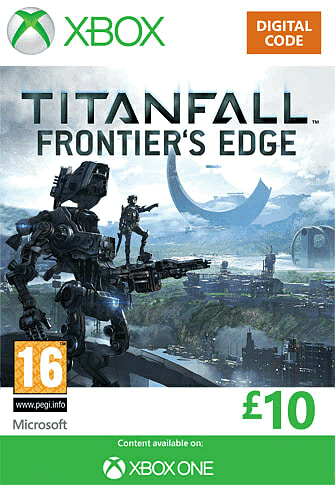 The PC and Xbox Ones current flagship shooter gets its second round of DLC in the shape of Frontiers Edge that boasts new maps to stomp, run and gun your way up, down and across. 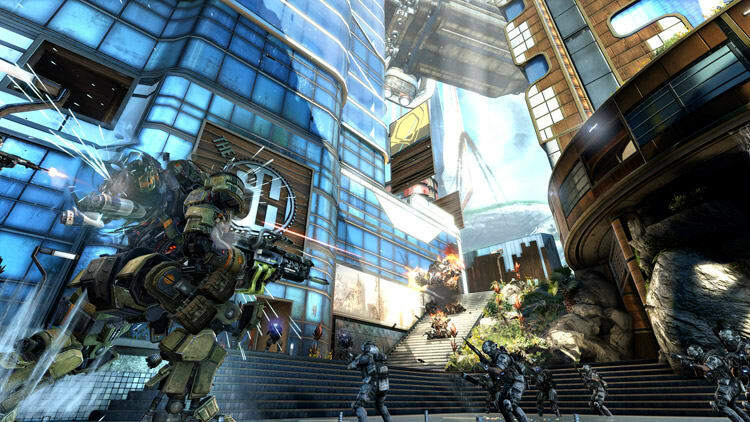 Youve got to love Titanfall - it offers a twist on the traditional multiplayer FPS format with its gigantic robots and wall-running pilots bringing something fresh to the fragfest carnage. And its success is likely to continue thanks to this DLC set on the Frontier where the conflict between the Interstellar Manufacturing Corporation (IMC) and the Militia rages on, this time across three new maps. First up is the mining outpost Dig Site, a dreary place with jutting rocks and a huge tower dominating its centre. Not that youll spend too much time grumbling about the underwhelming look - youll be too busy parkouring your way to the upper echelons of the vertigo-inducing map, trying to lay waste to the mechs lumbering past below. If you need a break from the grimness, head to Haven, a bright, breezy beach setting with hotels and facilities presumably designed for the one per centers who oversaw the Dig Site build before retiring to this sun-kissed utopia. Pilots can show off by wall-running through alleys and buildings while Titans duke it out on the surrounding beaches to get first dibs on the sun loungers, we assume. 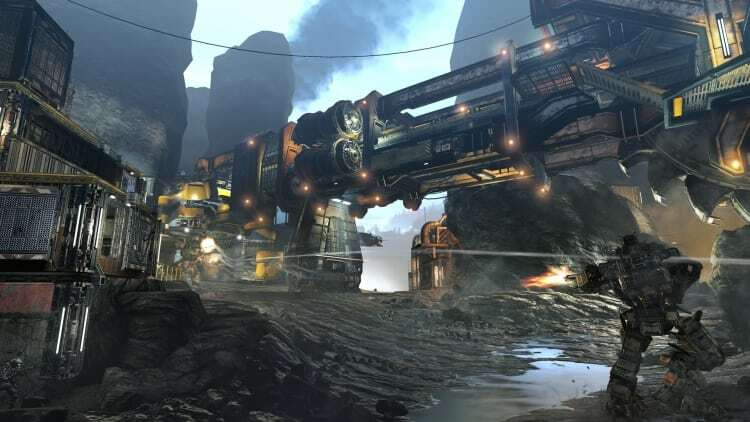 The last map is Export, a costal mining town made up of buildings and hangars which features a novel addition to the Titanfall canon in the shape of a bunch of glowing red wires hidden away inside an innocuous shed. Shoot the wires and youll electrify an area of the map, frizzling whoever happens to be in it at the time. The DLCs release also coincides with a couple of recent updates for the game too - first, a patch that improves in-game performance, (mostly) resolving the choppy framerate issues that could blight busier moments when punching a Titan in the chrome-plated brain pan. Second up is the introduction of the Black Market where players can sell off their Burn Cards for a quick hit of credits. Amass enough and you can buy themed packs of cards to boost your chances of Titan-felling success. 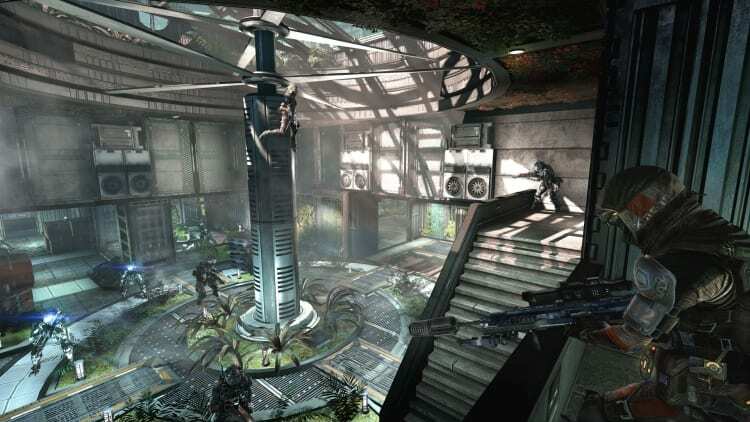 It all adds up to one indisputable fact - while Titanfall has already carved itself out an esteemed place in the FPS hierarchy, judging from the creativity of this latest DLC, its going to be towering over the shooter scene for some time to come too.